Arepalli Naga Babu, a visually-challenged IDIA scholar from Machilipatnam in Andhra Pradesh, has yet again strengthened the well-known belief that the only disability in life is lack of will and fortitude. Acting on his petition, the Hyderabad High Court has directed the authorities to accept his application and permit him to write the Judicial Service Exam to be held on 27th of this month, which he was denied earlier. The court also directed that he be allowed to take the examination in a separate room with the assistance of a scribe and be granted 20 minutes extra for every hour to compensate for the disability. A division bench comprising Chief Justice Ramesh Ranganathan and Justice A. Shankar Narayana affirmed that he cannot be denied participation in the selection process under the open category merely on account of his handicap(blindness) and stated that ‘there does not appear to be any prohibition in the Andhra Pradesh State Judicial Service Rules 2007 prohibiting visually-challenged candidates from participating in the selection process for appointment to the posts in the AP State Judicial Service’. 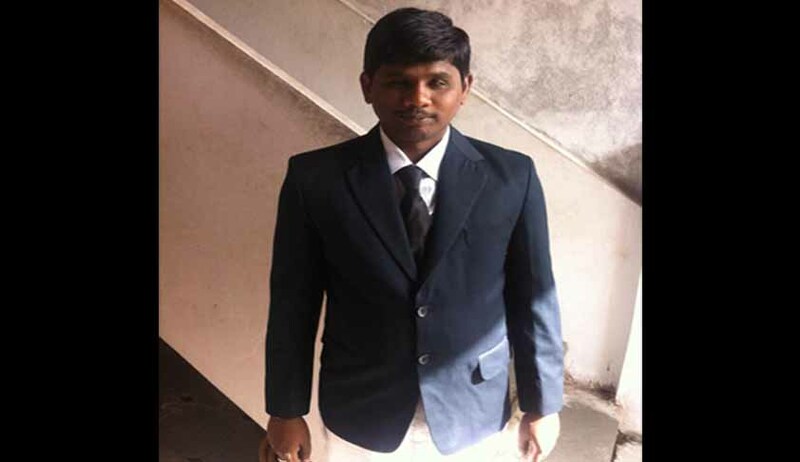 Naga Babu, a law graduate from National Law University, Odisha, and a practising advocate of the high court, said the exam notification issued for the Andhra Pradesh and Telangana Judicial Services Exam confined the benefit of reservation only to the orthopedically handicapped and excluded the visually impaired persons. He stated that after he applied for the exam, he was informed that his application would be rejected as he was not entitled to write the exam and is neither eligible for reservation as per the rules. The petitioner challenged the constitutional validity of Rule 7 of the Andhra Pradesh State Judicial Service Rules 2007, and sought its suspension. He also pleaded the court to permit his to write the exam pending disposal of the writ petition. He contended that Rule 7 is violative of Article 14 and Article 21, as it specifically excludes reservation for the visually -challenged and for the same reason is ultra vires the provisions of The Persons with Disabilities (Equal Opportunities, Protection of rights and Full Participation) Act 1995. While he won the right to take the exam in open category, the high court, however, stopped short of declaring Rule 7 as ultra vires the Act of 1995. It stated that it could be examined only after a counter affidavit was filed by the respondents. The high court said the question whether reservation should be provided needed further examination. In his petition, he had put forth that as per the Persons with Disabilities Act of 1995, the state government is obliged to identify and reserve not less 3 per cent posts for persons with disability. Out of which, 1 per cent posts have to be reserved for the visually-impaired. The petitioner’s counsel referred to the Delhi High Court order directing provision of 3 per cent reservation for the persons with disability, followed by the 2015 notification, which extended reservation in favour of visually handicapped in the Delhi Judicial service Examination 2015. He also submitted that Rajasthan High Court has also issued notification providing reservation for the blind. Hailing from a modest background, resolute and talented Arepalli never got bogged down in the face of economic constraints and visual impairment. He passed 10th grade from his village and secured 80 per cent marks in state board exams. With the all-encompassing support of Increasing Diversity by Increasing Access (IDIA), he took to legal profession and cleared CLAT securing all-India rank 4. After completing his law graduation from National Law University, Odisha, he has been practising in the high court ever since. The promising former IDIA scholar is also an IAS aspirant and wishes to lead his community to a bright future. Not Hereditary Property; Common Property!